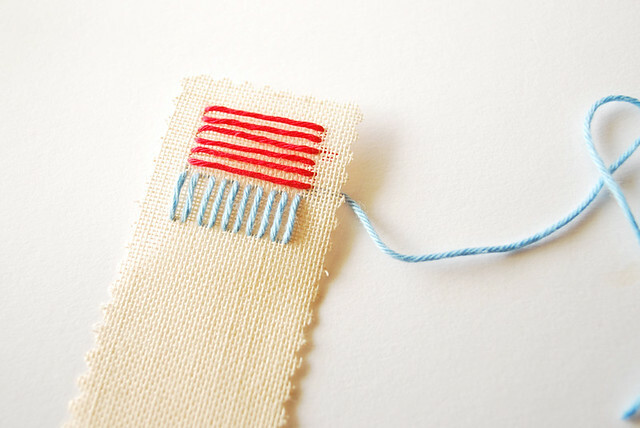 If you've been thinking of doing some embroidery, this one would be an easy place to start. All you have to do is stitch some lines! 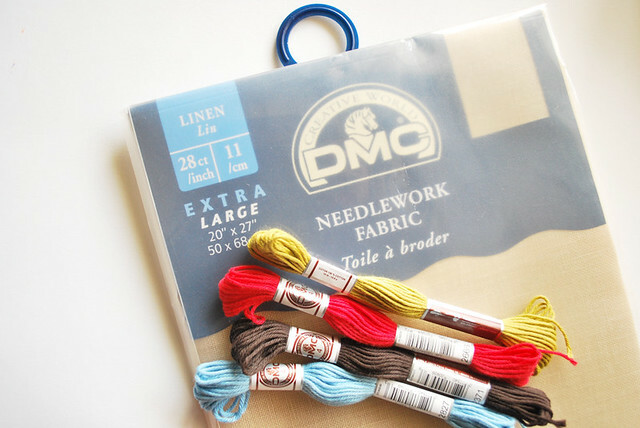 But even if you've embroidered plenty before, maybe you haven't tried it with these exact materials. The fine folks at DMC sent me some of their needlework fabrics to try, and I've been saving this linen for just the right use. (It's so pretty!) The thread that I'm using is a cotton #4 for tapestry, which I bought in England. 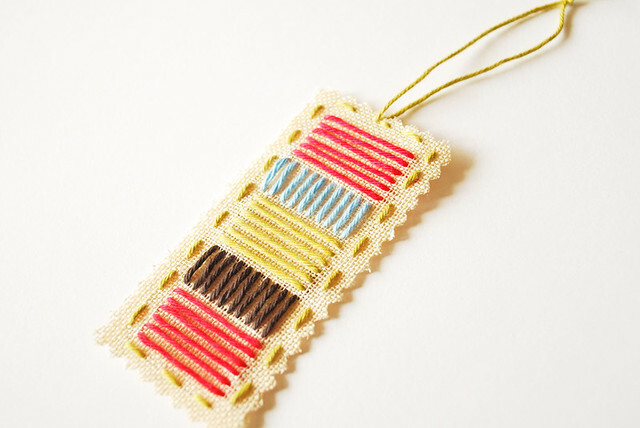 It feels a lot like cotton yarn, so you can use that if you aren't able to find this type of floss by you. 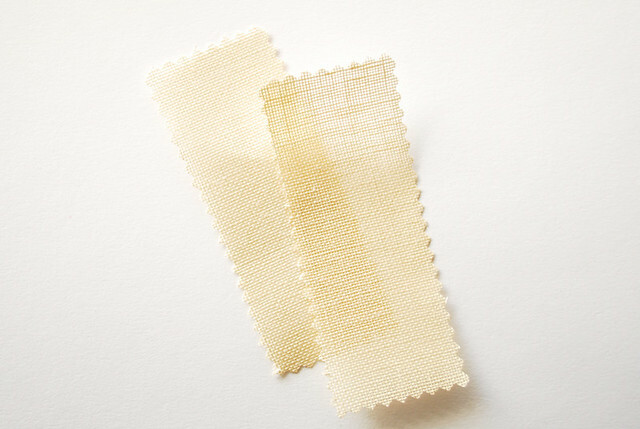 Cut two strips from the linen. I used a pinking shears, but the edges don't keep the zig zag. Instead, they'll end up with a rougher edge. The choice is up to you. 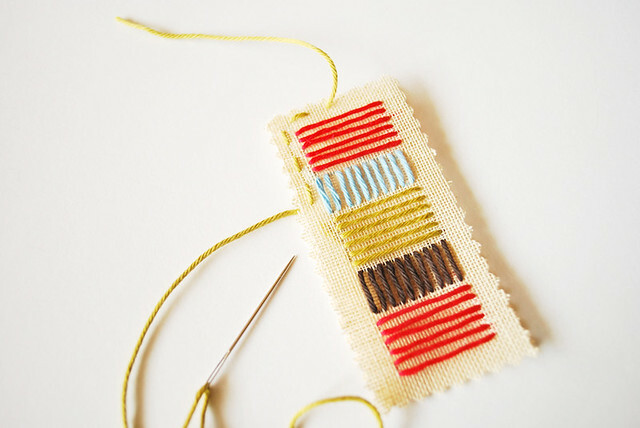 Tie a small knot, and stitch some horizontal lines. Now some vertical lines. Continue with alternating lines, changing colors as you go. If the lines and your fabric don't come out right space-wise, you may need to trim a bit of fabric. 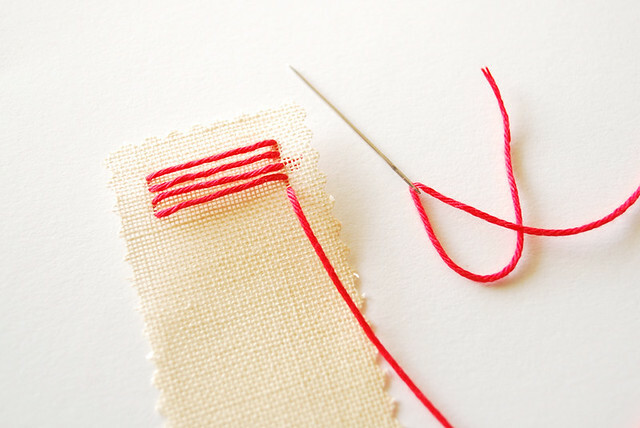 When you're done, stitch the second piece of linen to the back. This will cover up the back of your work, and add a bit more weight to the ornament so it hangs nicely. When you do this, leave a long tail at the top when you start and end your work. These tails will become the hanger! 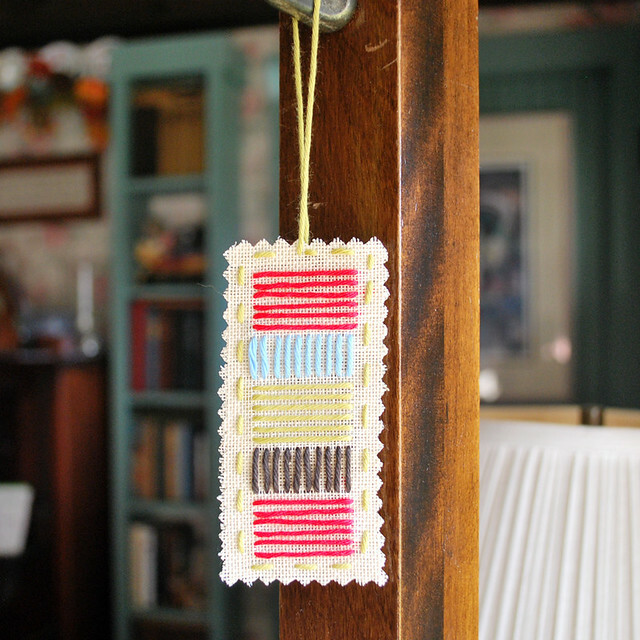 Tie the ends into a knot and you're ready to hang this, or add it to a package! Be sure to add your ornaments to the page for linking up! We all want to see what you're making! That would be the cutest bookmark. love love love... I am so enjoying the surprise from the ornament of the day!